Mills Nutrients are fully dedicated to design the best quality in plant nutrient and supplements the market has to offer. 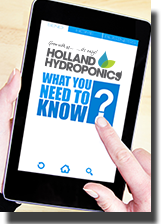 The entire range of Mills products are manufactured in Amsterdam, Holland and are suitable for cultivating any crop in all growing mediums. Both for the professional as well as for the hobbyist, Mills Nutrients is the ideal partner and the result of a decade’s worth of research. Mills Nutrients CalMag gives your plants all vital minerals of magnesium and calcium needed for strong growth and to help with nutrient absorption and photosynthesis. Levels of calcium and magnesium will increase, and so will the overall quality and health of your plants. Mills Nutrients Vitalize provides you plants with necessary silicon to aid with the strengthening and growth development of your plants. Using this formula will give your plants increased resistance to disease and pests as well as improving the overall immune system of your plants. Mills Nutrients Ultimate PK is a heavyweight bloom booster that can be used in all growing techniques. Give your plants that final boost of P and K as they approach harvest to help them produce an abundance of healthy, dense fruits. Mills Nutrients Start is a root-stimulant that’s been developed to be used during propagation, vegetative growth and the 1st week of bloom.